What if the worst thing isn't that they don't believe you? What if the worst thing is that they just don't care? Seventeen year-old Emily has accepted the truth of her past trauma and made peace with her battered egos. She's won the first battle...barely...but the war in her psyche still rages. The same day Mom is released from rehab and Emily finishes detox, Dad announces he's ready to be a family again, throwing Emily into panic. 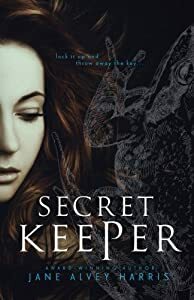 Determined to protect her younger brothers and sister from Dad, she gathers the strength to do the hardest thing she's ever done: speak her Secret. But it isn't enough. Nobody will intervene. Emily is more alone and helpless than ever. 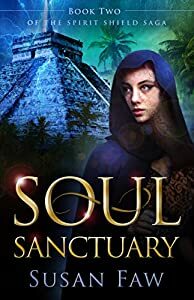 Her therapist suggests that the key to resolving her crises lies within the mysterious First Realm, where Emily has access to her Fae abilities and where she can find her Champion...the one person with enough power to end the destructive cycle of abuse and help Emily transform from victim to survivor. Desperate for guidance, Emily returns to the First Realm only to discover the Seven Kingdoms in total chaos. She has just a few days to find her Champion before Dad comes for her. Can she complete her task and return to the Second Realm in time to save her family, or will her dreaded premonition turn out to be true: that she is her own worst enemy? 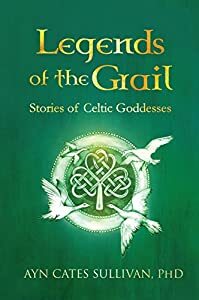 Ayn Cates Sullivan’s Legends of the Grail is an in-depth, spiritual exploration of Celtic folklore and the impact that age- old stories have on modern women. Sullivan delves into the history of goddesses, what they stand for, and the people who worship them. Each section includes a journey through a goddess’s history, an intimate short story told through the eyes of the goddess, and a final reflection on how to travel with the goddess to discover her meaning and place within the real world. A combination of short stories, spiritual reflections, and historical insight, the book weaves the world of Celtic mythology into the present day. 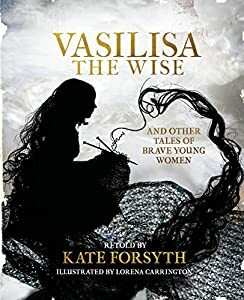 Divided into seven sections, it is a powerhouse culmination of the Celtic stories of Danu, Ceasair, Áine, Scáthach, Emer, Caer Ibormeith, and Cailleach, Celtic goddesses with varying understandings of, and who give various advice related to, power and womanhood. The author includes personal practical suggestions for utilizing the archetypal values embedded symbolically and firmly in the specified Goddess in order to facilitate psychological revival and continued health, and finally a poetic blessing to access the less structured but higher nature of the human mind. Anyone with Irish heritage is likely to be fascinated by these empowering tales. Kira is the last of her kind—the heir to a kingdom that has descended into chaos. 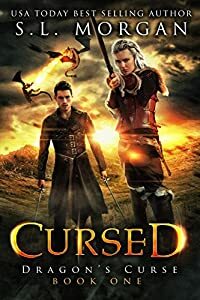 The blood of dragons courses through her veins— a curse that might be their only hope. When a handsome stranger named Alexander crashes into her world, sparks fly. In order to save both of their worlds from destruction, the two of them must put their differences aside and form an unlikely alliance. The path to salvation is a dangerous one and deception lurks around every corner. Kira and Alexander battle the dark magic and beckon the dragon army as desperation consumes the realm. Scroll up and journey to a thrilling new world today!